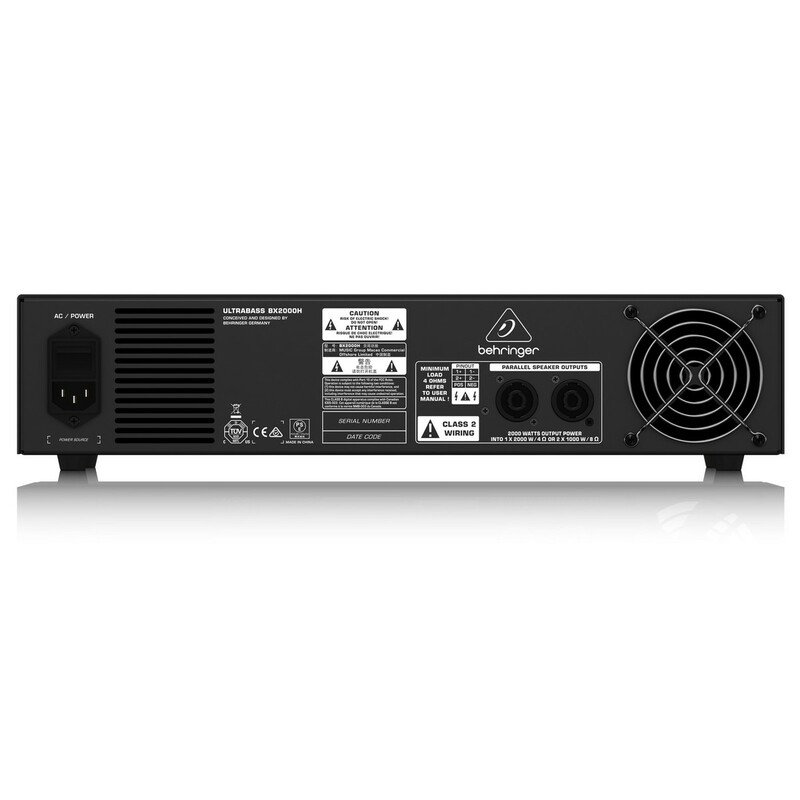 The Behringer Ultrabass BX2000H Bass Amplifier is engineered to deliver incredibly powerful bass tones with 2,000-watts of amplifier power and class-D amp technology. The class-D amp allows for impressive sound levels within lightweight housing, making room for a wide variety of excellent features. The high-voltage MOSFET premp delivers wonderful dynamics whilst 'Dynamizer' technology adds an extra punch to the overall sound. 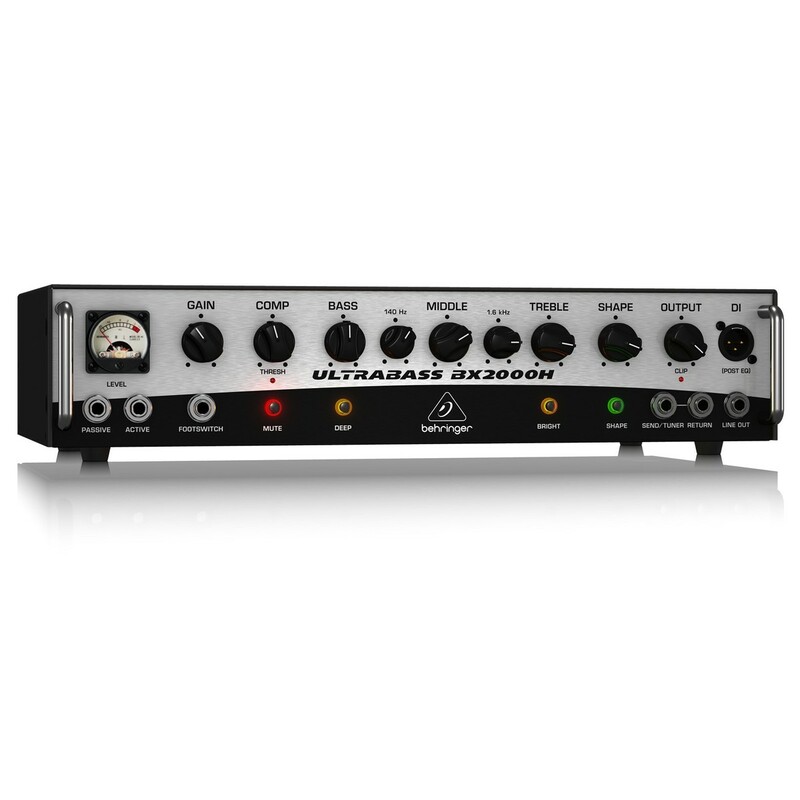 Combining a dedicated 5-band EQ, vintage style VU metre and a switchable shape filter, the Ultrabass BX2000H offers bassists fantastic tonal control. The Ultrabass mixer is capable of extreme power and an unrivaled sound performance all within lightweight housing thanks to the inclusion of a class-D amplifier. The class-D technology is also energy efficient, eliminating the need for heavy power supplies and as a result, protecting the environment. 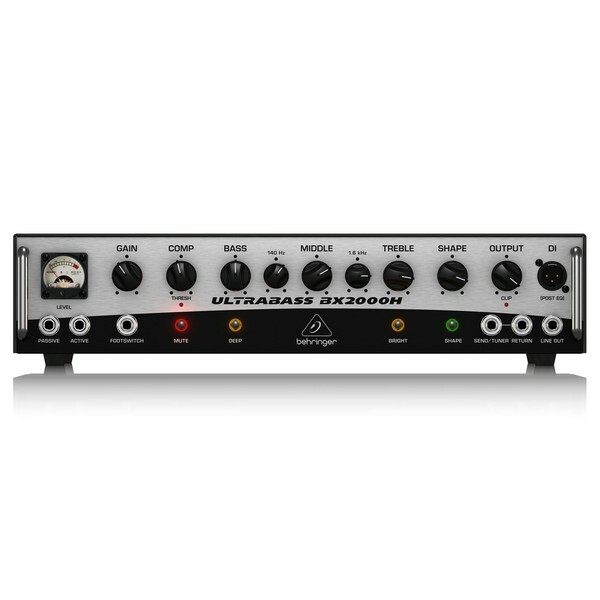 Featuring Behringer's intuitive MOSFET preamp, the BX2000H emits a reliable bass tone with intense dynamics. The MOSFET design operates at high voltage levels for incredible headroom space to capture all sounds across the entire dynamic range. The compressor integrated with the Ultrabass BX2000H is based on the revolutionary studio equipment from the 1970s. The compressor is both transparent and musical, letting the full dynamic range shine through. Should the signal reach the threshold, then the status LED lets you know, making monitoring easy. The compressor increases sustain and smooths out peak signals to keep aggressive lines and pop tones balanced within the mix. 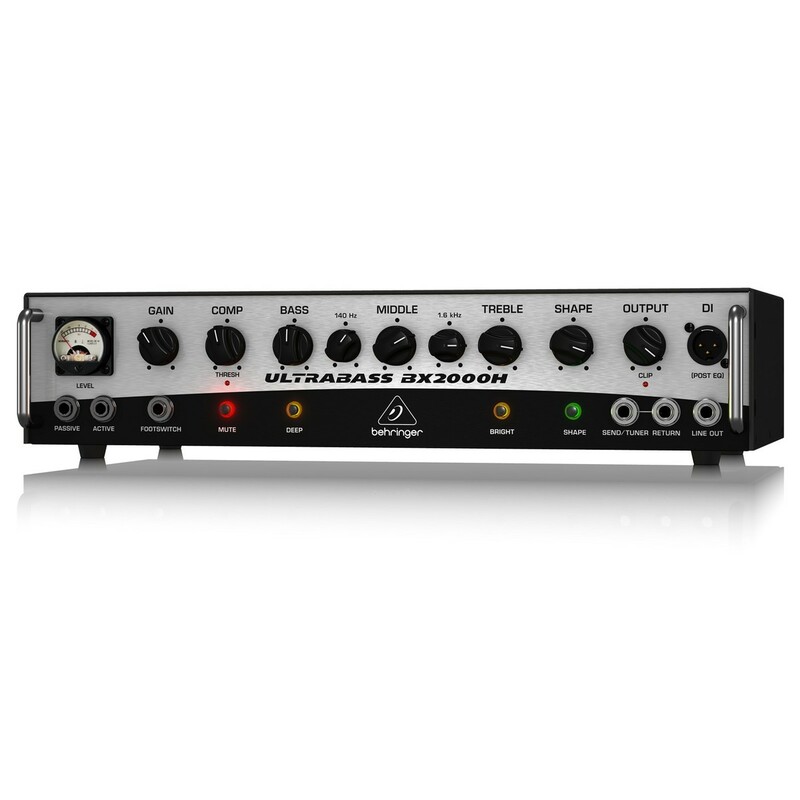 The Ultrabass mixer also features an unrivaled piece of compression technology labelled 'Dynamizer' technology. The 'Dynamizer' delivers incredibly powerful sounds and fantastic tones no matter the volume level. Designed to meet a variety of bass players, the BX2000H includes a multitude of tonal controls. A VU metre provides accurate input signal level monitoring whilst a musical 5-band EQ lets users craft any tone they desire. There are additional deep and bright switches and a dedicated shape filter for a complete sonic bass performance.